This Zahal full body armor suit, is a bulletproof vest that covers big portion of the body. This ballistic vest was developed by the IDF for the combat soldier. 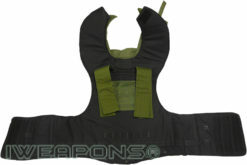 This vest covers big part of the body including neck protection. 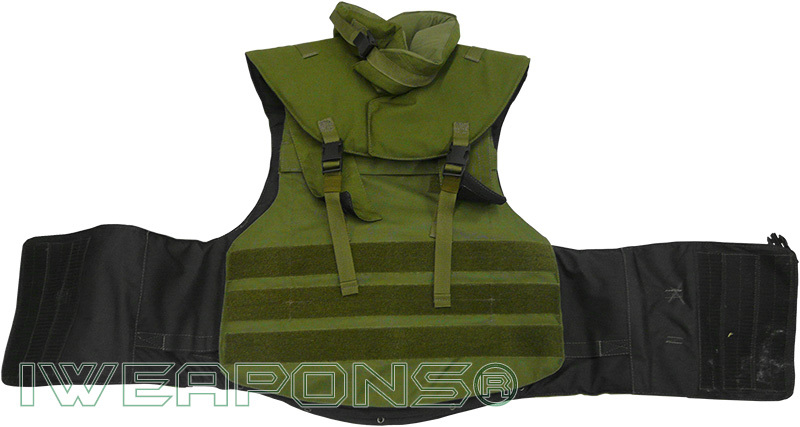 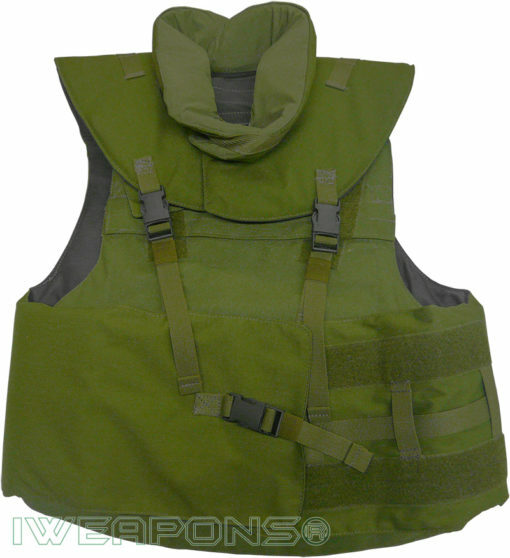 This vest provides soft armor level IIIA protection, with front and back 10×12 inch pockets for hard armor plates. The highest ballistic protection that can be achieved is with level IV ceramic armor plates that used by soldiers in combat areas. 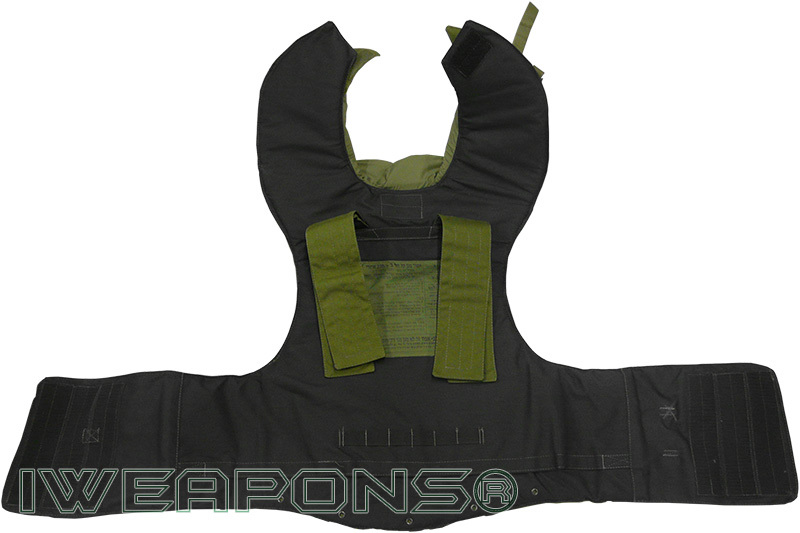 This vest not only provides neck ballistic protection but also shoulder protection as well. While this bullet proof vest has extremely big coverage of the body, it also very flexible and can fit any soldier’s size. This vest unique in the large protection area of the upper body, and in its design for quick remove option of the front part of the vest. 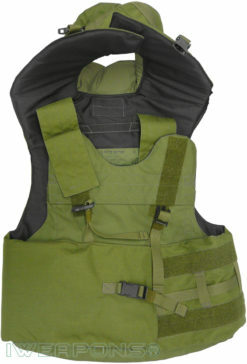 Front part of the vest can be quickly removed from the rest of the vest in case of injury. 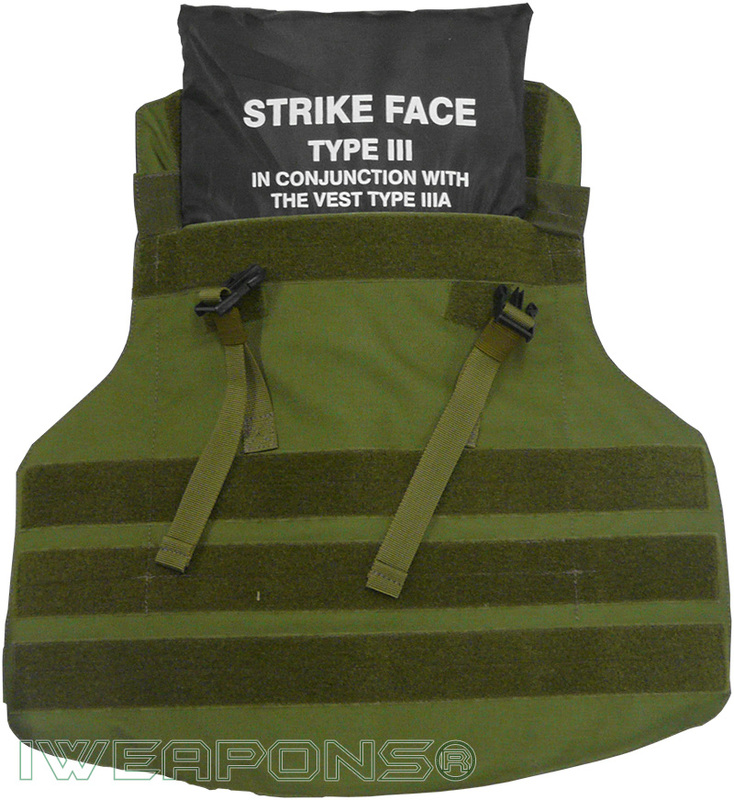 This way the front part of the vest can be removed while the soldier remains on his back. 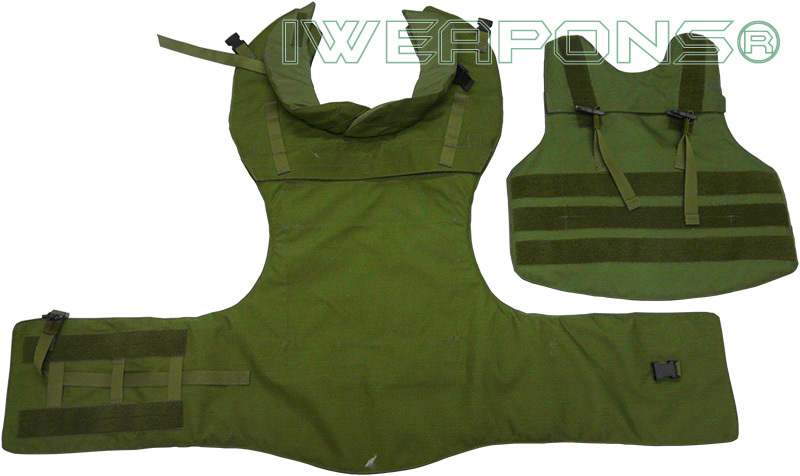 We make these bulletproof vests in green olive drab color on the outside for camouflage, to be used with the IDF other combatant gear. While the inside of the vest made from black color for easy identification. The wide shoulder straps connected with Velcro to the front part of the vest. 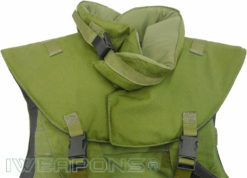 The top ballistic part that includes the neck and shoulder protection, attaches with plastic clips to the vest on top of the shoulder straps in front. 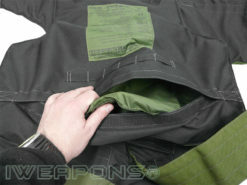 This way the ballistic top part of the vest not putting direct weight on the wearer’s shoulders. The front wide strap of the vest is adjusted with Velcro and secured with a plastic clip. All parts of this tactical vest designed to offers comfort and flexibility to the wearer. This military vest is Israeli army standard issue and it used by many front line soldiers under the combat vest, it also used with other body armor gear as bulletproof helmets and armored plates.